Frank Zalom is the new editor-in-chief of the Journal of Economic Entomology, the most cited journal in ESA's family of scientific journals. Integrated pest management specialist Frank Zalom, distinguished professor of entomology, UC Davis Department of Entomology and Nematology, and a past president of the Entomological Society of the America (ESA) is the newly selected editor-in-chief of the Journal of Economic Entomology, the largest and most cited of ESA's family of scientific journals. 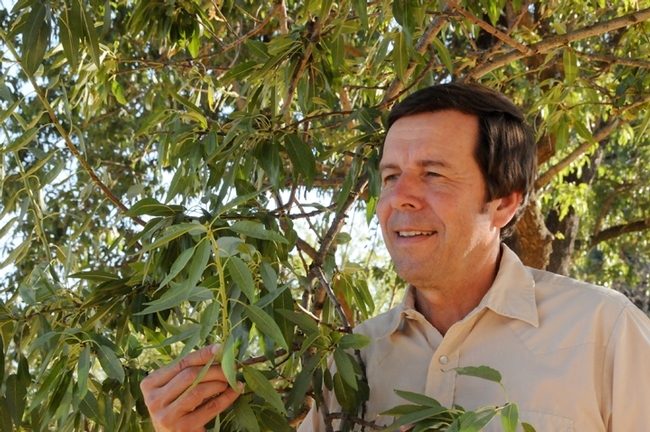 The ESA Governing Board today announced that Zalom will succeed John Trumble, distinguished professor of entomology at UC Riverside. Trumble, editor-in-chief for 20 years, informed ESA in late 2017 of his intent to leave the role in 2018. In January, the journal's editorial board launched a widespread search for his successor. 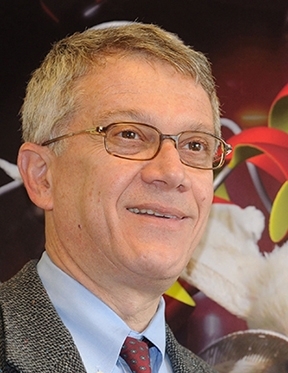 A 43-member of ESA and the 2014 president, Zalom will serve a five-year term as editor-in-chief. The journal publishes research on the economic significance of insects. It includes sections on apiculture and social insects, insecticides, biological control, household and structural insects, crop protection, forest entomology, and other topics. "Dr. Frank Zalom's career can be viewed as a model of applied entomology derived from an understanding of basic biology, and he is an ideal choice to be the new editor-in-chief of the Journal of Economic Entomology (JEE)," said ESA President Michael Parrella in an ESA news release. 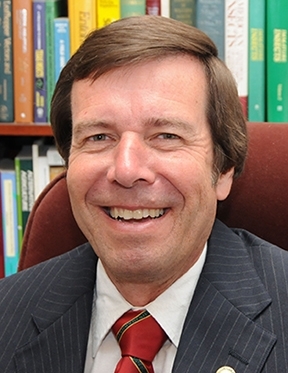 "His unparalleled and broad expertise will serve to continue the journal's growth as the publication of choice for applied entomological research and to build upon the legacy of Dr. John Trumble," said Parrella, dean of the College of Agricultural and Life Sciences at Idaho State University and former professor and chair, UC Davis Department of Entomology and Nematology. Zalom's 40-year career intersects entomological research, teaching, and application. 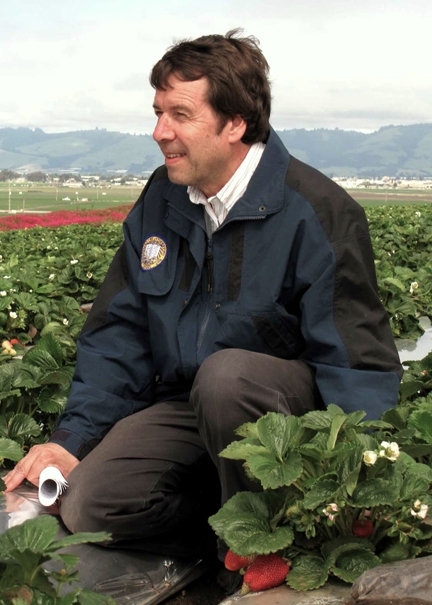 He served 16 years as director of the University of California Statewide Integrated Pest Management Program (UC IPM) and is the only entomologist in the UC system to receive a simultaneous appointment in teaching, research, and extension. His focuses his research on IPM of agricultural crops. 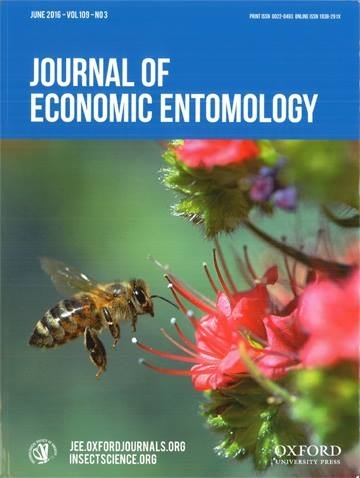 Journal of Economic Entomology is the largest and most cited of ESA's family of scientific journals. This cover photo shows a honey bee heading toward a tower of jewels, Echium wildpretii. This image is the work of UC Davis staffer Kathy Keatley Garvey. "I couldn't be more pleased to be selected the next editor-in-chief of the Journal of Economic Entomology," Zalom said. "I have spent the last 40 years of my career trying to solve economically important problems caused by arthropods using an IPM approach, and this journal, as well as ESA's other journals, have always served as a primary foundation and outlet for research conducted in my lab. As I approach the end of my career, I hope to be able to dedicate my efforts to enhancing our Society's influence on science and its application to addressing some of the most important entomological challenges that affect communities worldwide. JEE is uniquely positioned to do exactly that." Zalom joined the UC system in 1980, serving in roles ranging from extension IPM coordinator to professor to vice chair of the department to advisor of the UC Davis International Agricultural Development Graduate Group. He has authored more than 335 journal articles and book chapters. including "Food, Crop Pests, and the Environment" published by APS Press. His career includes serving as major professor for 12 Ph.D students and seven master's degree students. 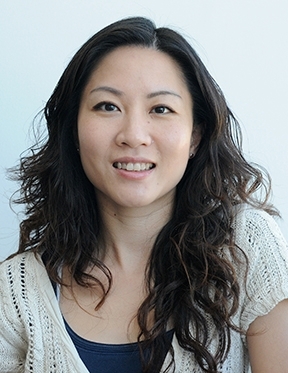 Zalom is a fellow of the California Academy of Sciences, the American Association for the Advancement of Science, the Royal Entomological Society, and ESA. 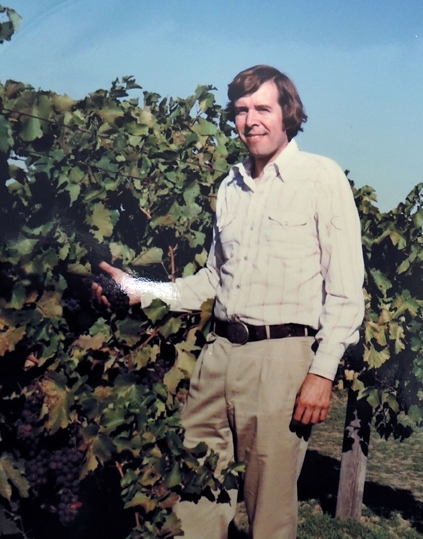 Among his numerous honors: a Fulbright Senior Research Scholarship (1992-93), the ESA Achievement Award in Extension (1992), the ESA Recognition Award (2002), the James H. Meyer Award from UC Davis for teaching, research and service (2004), the Entomological Foundation IPM Team Award (2008), the Entomological Foundation Excellence in IPM Award (2010), Outstanding Mentor Award from the UC Davis Consortium for Women and Research (2013) and the C. W. Woodworth Award (2011), the highest award given by the Pacific Branch of ESA (PBESA). 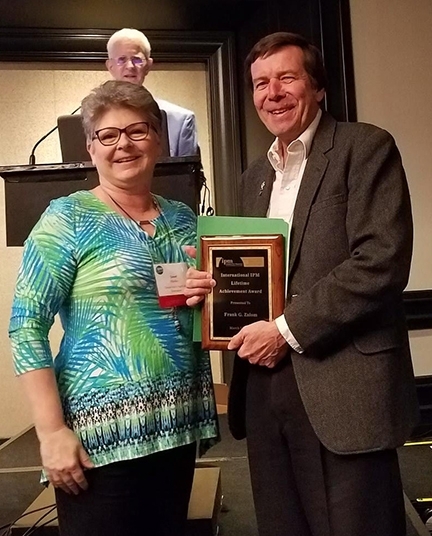 More recently, Zalom received a lifetime achievement award, presented at the 9th International IPM Symposium, held March 19-22 in Baltimore. 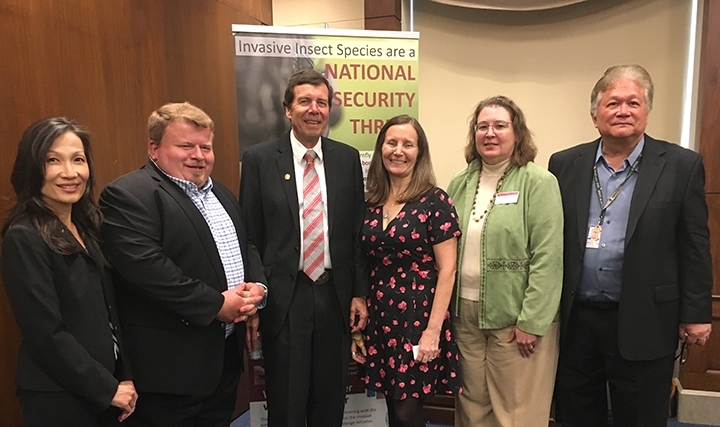 Last month he played a key role in a U.S. Congressional briefing held in the Rayburn House Office Building to raise awareness for and increase understanding of areawide integrated pest management (AIPM) and the benefits of a comprehensive pest management policy, particularly as it relates to invasive species. 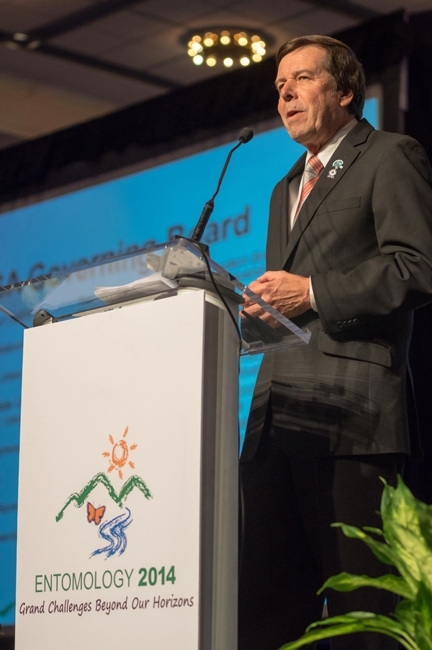 In addition to serving as president of the 7000-member ESA in 2014, Zalom served as the PBESA president (2001), and president of the Entomological Foundation in 2015. 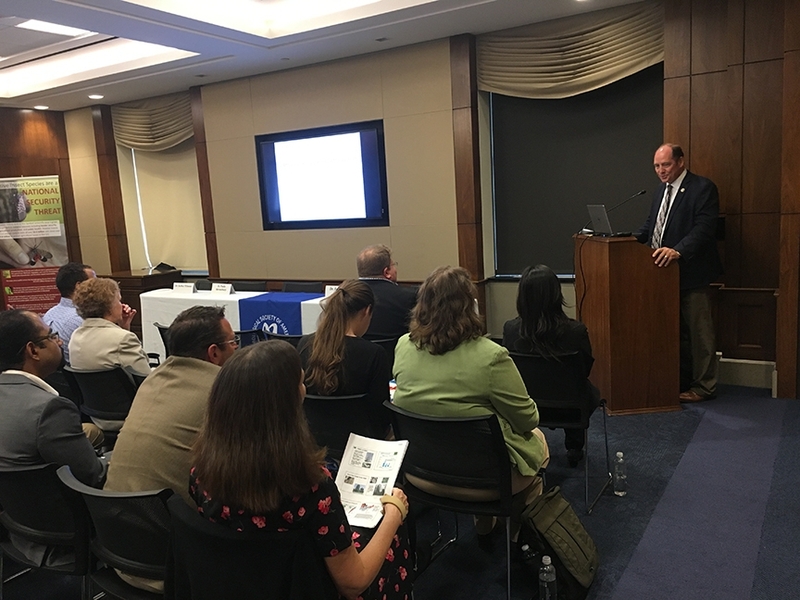 He continues to serve as a member of the Entomological Foundation board of directors and ESA's Science Policy Committee. Zalom, who received his doctorate in entomology from UC Davis in 1978, holds two degrees in zoology and ecology from Arizona State University (bachelor of science, 1973, and master's degree, 1974). Founded in 1889 and headquartered in Annapolis, Md., ESA is the world's largest organization serving the professional and scientific needs of entomologists and people in related disciplines. 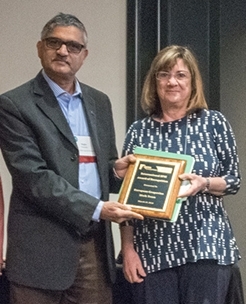 Integrated pest management (IPM) scientists affiliated with the University of California, Davis and the UC Agriculture and Natural Resources received high accolades at the 9th International IPM Symposium, held March 19-22 in Baltimore. 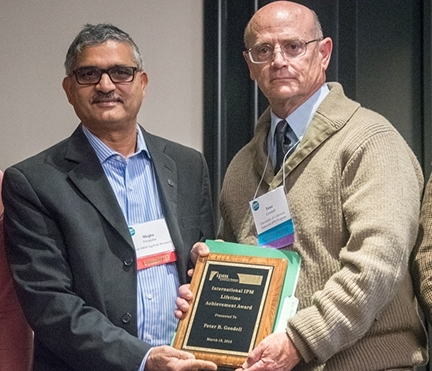 Lifetime achievement awards went to Frank Zalom, distinguished professor of entomology, UC Davis Department of Entomology and Nematology, who directed the UC Statewide IPM Program (UC IPM) for 16 years; and to Pete Goodell, Cooperative Extension adviser emeritus and UC IPM emeritus. An international IPM award of recognition went to the European Grapevine Moth Team, headed by Lucia Varela, UC IPM advisor, and including Professor Zalom. "Frank Zalom began his career as an assistant professor for the Department. 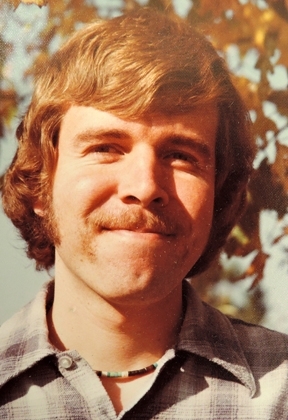 of Entomology, Fisheries, and Wildlife at University of Minnesota, St. Paul, in 1979. Over the years his career has spanned a wide range of positions and leadership to IPM programs worldwide. In 1986, he became the director of UC Statewide IPM Program and directed it for 16 years to raise the UC IPM program to its 'gold standard' of IPM information in the world. 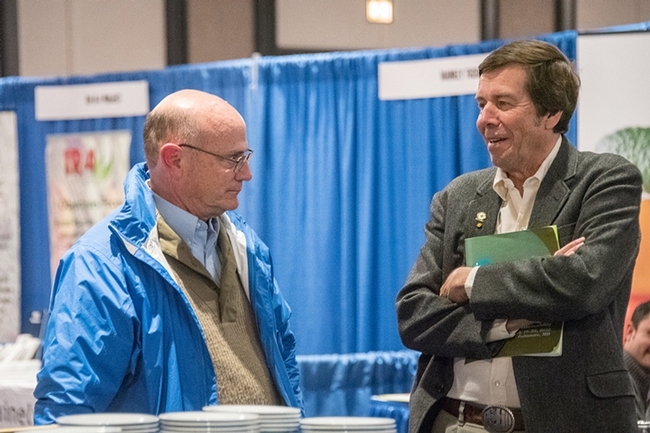 He received a Joint Resolution from the California State Legislature lauding his efforts to advance IPM. To educate a new generation of IPM practitioners through effective undergraduate teaching and graduate student mentoring. "He believes that advancing the science and implementation of IPM will reduce the impact of pests and pest control on agriculture and the environment. This is critical in California. 'California agriculture is a $42.6 billion industry that generates at least $100 billion in related economic industry,' according to the California Department of Food and Agriculture, and California grows more than a third of the country's vegetables and two-thirds of the nation's fruits and nuts. "Peter Goodell was hired as an Area IPM Specialist in 1981. With Goodell's leadership, UC Statewide IPM Program (UC IPM) has developed into a well-known and respected resource for practical IPM information. During Goodell's career, IPM moved from a fringe concept for insect pest management to a central tenet of management for all pests in all situations. All the while, he has continued to push the boundaries of IPM. Goodell was the principal investigator and subject-matter expert in a report to the California Department of Pesticide Regulation on the use of chlorpyrifos against key pests in almonds, alfalfa, citrus and cotton. "Early in his career, Goodell focused on reduction of use of broad-spectrum insecticides and development of easy to implement scouting methods. For example, he was instrumental in the development and adoption of time saving presence/absence sampling for mites in cotton. Mid-career, Goodell helped to pioneer year-round IPM programs because of his collaborations with the Natural Resources Conservation Service. Year-round IPM programs describe pest management activities important for that crop stage or season and addresses key pest management for multiple pests. This departed from addressing one pest to a more holistic program focused on prevention and decision-making. 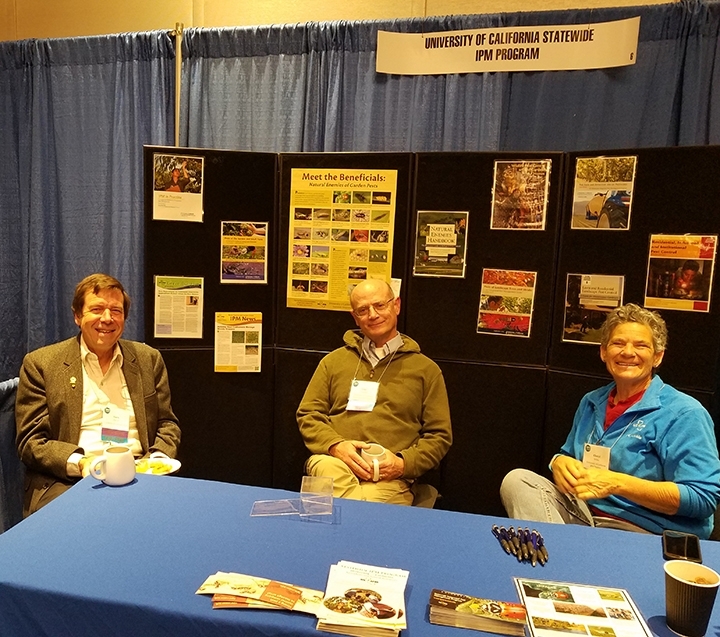 UC IPM now has year-round programs for 25 crops and recently expanded the concept to develop seasonal landscape IPM checklists for four eco-regions in California. Later, Goodell was one of the first to incorporate social science concepts regarding the drivers of change in behavior into IPM learning and adoption. He was a founding member of the group that developed the Toolkit for Assessing IPM Outcomes and Impacts. "The European Grapevine Moth Team was selected for an IPM Team Award for achieving the eradication of European grapevine moth only six years after its discovery in 2009. Team members helped growers in infested counties to monitor the pest and apply control measures on a timely basis. The team's research and extension efforts helped growers avoid losses to the pest every year until it was finally eradicated in 2016. 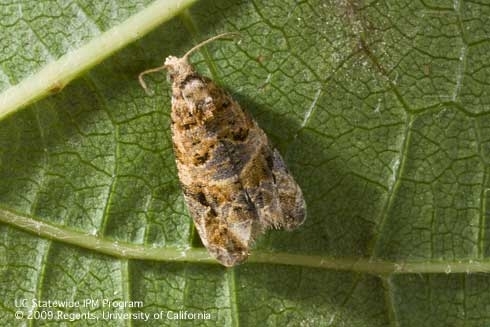 "In September 2009, European grapevine moth (EGVM) was detected in grapes in Napa County and confirmed by USDA on Oct.7, 2009. European grapevine moth larvae bore holes into grape berries directly damaging the fruit and allowing entry of fungal pathogens. The European Grapevine Moth Team, achieved the eradication of European grapevine moth only six years after its discovery. "The team mounted a multi-pronged program to study the biology and life cycle under California conditions, assisted and informed growers to monitor and control this pest, and addressed regulatory questions regarding detection and delimitation. The team designed and conducted 15 trials to evaluate winter mortality factors, validate monitoring tools, determine the host range, evaluate organic and conventional insecticides, and study larval mortality during the winemaking process." The European Grapevine Moth Team includes Lucia Varela, UC IPM advisor for the North Coast; Frank Zalom,IPM specialist and distinguished professor of entomology, UC Davis Department of Entomology and Nematology; Monica Cooper, UC Cooperative Extension viticulture adviser in Napa County; Walter Bentley, UC IPM entomologist emeritus; Larry Bettiga, UC Cooperative Extension adviser in Monterey County; Kent Daane, UC Cooperative Extension specialist in UC Berkeley Department of Environmental Science, Policy and Management; Rhonda Smith, UC Cooperative Extension adviser in Sonoma County; Robert VanSteenwyk, UC Cooperative Extension specialist in UC Berkeley's Department of Environmental Science, Policy and Management; and Joyce Strand, UC Davis IPM Academic Coordinator emeritus.